This special eco-trip explores the “real Cuba” that many people are looking for. Led by Dr. Craig Huegel, we begin our tour in exuberant Havana with its friendly people, contemporary artists, exceptional architecture, lively music and colorful outdoor markets. We depart Havana to visit UNESCO Biosphere Reserve at Las Terrazas, an ecological planned community focusing on sustainable living and environmentally friendly farming practices. We move through the country to Playa Larga and Zapata peninsula, the largest protected area in the Caribbean as well as the largest swampland in all of the Caribbean basin. 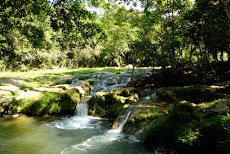 This is an amazing forested park that extends across the Escambray mountain range where the remote settings feel worlds away from then nearest cities. You will visit El Nicho, best known for its large waterfall which has a huge natural pool where you can swim after hiking the rich trails alive with rare birds, lizards, and the Cuban crocodile. We hope that you will join us on this once in a lifetime adventure to Cuba. Flight from Tampa to Havana non-stop. Southwest departs at 7:00am, arrives at 8:30am. Baggage, customs, meet our private guide and driver and board our motor coach. Enjoy a panoramic tour of Revolutionary Square, Havana University, pass by the U.S. Embassy and travel along the famous Malecon on the way to Old Havana. Our first excursion begins at Finca La Yoandra, a rare plant farm with fruit trees from all over the world. They did an outstanding job of recovering the soil, draining the swamp and planting. Today this farm has over 104 varieties of fruit trees and this was all done with the support of the Tropical Fruit Institute. Lunch will be at the sprawling Mediterranean style ranch paladar, El Divino. After lunch we depart Havana and head west to Las Terrazas biosphere and entirely sustainable community. MOKA HOTELcheck-in. Meeting with botanist to discuss sustainability at Las Terrazas. Dinner at Moka hotel. Breakfast at your hotel. This morning we begin with a tour of Las Terrazas- A UNESCO biosphere reserve. 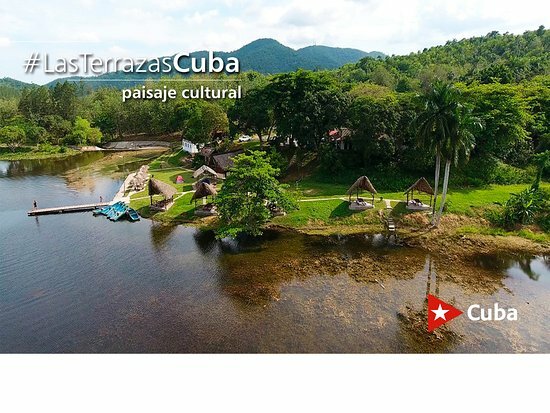 An outstanding example of eco-sustainable tourism in Cuba is this biosphere that was developed based on the use of local natural resources and a strong focus on public environmental education. This area has gone from virtual collapse to a sustainable community. This reforestation program saw about 6 million trees planted over 2400 acres on once-barren coffee stripped land. It is now teeming with plants, animals and a thriving community. Lunch in Las Terrazas. After lunch we hike with a professional guide the trails and forests of this area and lecture of the endemic plants and animals. 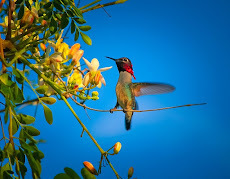 This rich nature gives shelter to over 199 different species of birds (migratory as well as Cuban endemic) Dinner at hotel. MOKA. Breakfast at hotel. Hotel check-out. 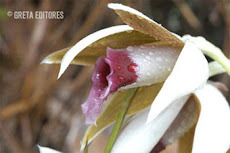 We begin the day with a visit to Soroa Orchid Garden – a 7.5 acre garden that features over 700 different species of orchids and a host of other amazing ornamental plants. After lunch we visit Finca (farm) Marta, a sustainable vegetable farm, a model of others in Cuba. You will learn about planting, organic pesticides, their farm to table experience. Our next destination is Playa Larga several kms south of the Bay of Pigs which is the best base for exploring the Zapata peninsula, Cuba’s largest wilderness area. Hotel check-in. 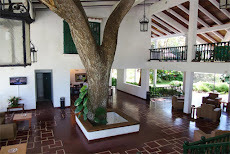 Hotel Playa Larga. 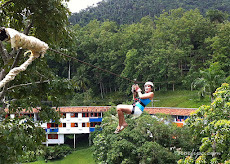 Free time before dinner at Paladar Terraza Milly which is quite close to the hotel and within walking distance. Check-out hotel – drive to Salinas Park. Here we will have one of the park’s botanists take us on a hiking lecture of the park. He will show and explain to you the foliage, plants, flowers and fauna that are indigenous to this area as well as flamingos, birds, humming bee birds, bats and more! Lunch at Paladar Casa Tiki. After lunch we go to “Cueva de los peces” where you will have time to take-in the natural beauty of the caves, swim and splash around. Transfer to the “Pearl of the South” Cienfuegos where we will enjoy the Cienfuegos Botanical Gardens with more than 2,000 catalogued species. It has 23 different bamboo species, over 200 different cacti species, and 280 different types of palm trees making it one of the most complete worldwide. This majestic park treasured many arboreal species as well as fruit trees. These gardens have been declared a National Monument. 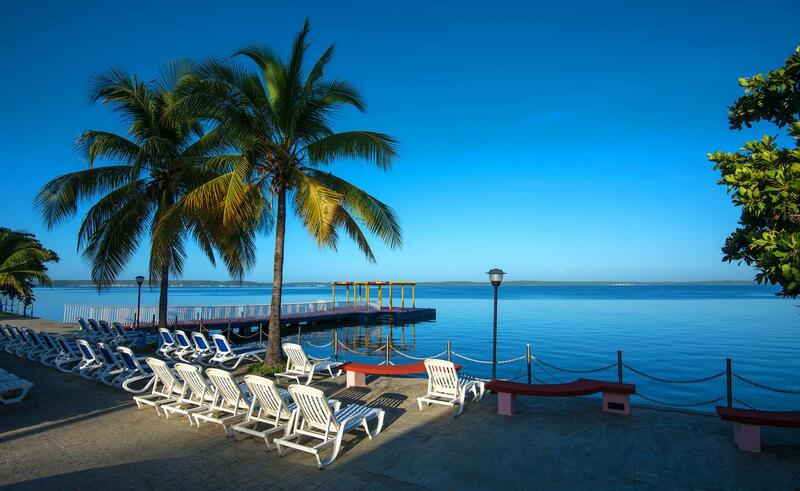 (Please note, the park closes at 500pm) Check-in to Hotel Jagua in Cienfuegos. 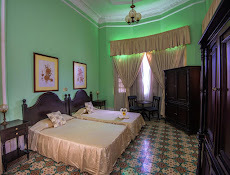 Free time before enjoying dinner at an authentic paladar in Cienfuegos. 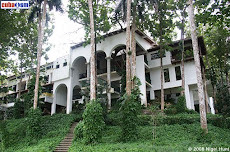 Hotel check-out, drive to El Nicho Waterfalls about 1.5 hours outside of Cienfuegos located in the Gran Parque Natural Topes de Collantes in the Escambray Mountains. We will hike with a private guide and later will have the opportunity to swim in the large pools at the base of the waterfalls. Drive to Santa Clara 1.5 hrs. Buffet Lunch at Hotel Los Caneyes. If time permits, after lunch we take time to explore the CheGuevera Museum in Santa Clara. Transfer to the airport in Santa Clara for our 6:00pm flight. 4:00pm check-in. 2. Please only bring the clothing you will need during the trip. There is limited storage on the buses and you will be responsible for your luggage at airport and hotel check-ins. 3. Carlson Maritime Travel is not responsible for lost luggage. If your luggage is lost, stolen, or damaged en route, the airline will make every effort to recover it or make proper compensation if you can provide them with a complete list of the contents, but this will have to be done directly with them by you. About Traveling in Cuba: All travel to Cuba is currently regulated by the office of Foreign Assets Control (OFAC) and each traveler must have documentation showing that their travel is authorized according to OFAC's Comprehensive Guidelines. This documentation will be provided to you. Documents: A valid passport and a Cuban Visa (Tourist Card) are required for travel to Cuba. Your passport must be valid for six months beyond your return from Cuba. We will obtain your visa, and issue it to you with your your travel documents. Passengers who were born in Cuba should contact Carlson Maritime Travel immediately, as they will need special documentation that must be secured prior to departure. Please keep the Cuban Tourist Card IN YOUR SAFE as you will be required to present it when you depart the island. Medications: Be sure to bring an adequate supply of prescription medicines that you use regularly to last throughout the program. Pack them in your carry-on bag. No immunizations are required for Cuba, however we strongly suggest that you contact your personal physician for recommendations regarding your individual health requirements. Please bring insect-repellent. Medical Services: Cuban Medical Insurance is included in our program. This policy covers major medical emergencies while in Cuba. The policy is in effect throughout the country. Money: The U.S. dollar is not accepted in Cuba. You will have to exchange dollars into Cuban Convertible Pesos (a.k.a. the CUC – "kook"). All exchange locations at the airport and at hotels charge a standard 13% exchange fee on all exchanges. Unused CUCs can be exchanged for U.S. Dollars at face value, without a fee, upon departure. We recommend that you do not exchange all your U.S. Dollars at once. Please exchange as needed throughout the week. If you already have Canadian dollars or Euros, bring them. Credit cards: issued by U.S. banks except the one issued by STONEGATE bank are not accepted in Cuba. Traveler's checks cannot be used. Make SURE that you bring more cash than you think you will need for this trip. Supplementary Expenses: Personal expenses such as telephone, mini-bar, room service and laundry services are not included in the program and will have to be settled with the hotel prior to departure. Meals and beverages (including wines and liquors) not indicated in your itinerary are considered personal expenses as well. Please adjust the amount of cash you bring accordingly. Communications: Your mobile phone will not work in Cuba unless Verizon, Sprint or AT&T is your carrier. It is possible to make direct calls to the U.S. from your hotel room. The price of the call will be charged to your room account. The cost of calls to the U.S. from your hotel room are approximately $3 CUC per minute. You can also purchase a wi-fi card for your Ipad or Laptop. Wi-fi may NOT be available in many of the places we will be visiting. Our hotel offers internet access for a fee, but it can be sporadic at best. In Cuba, internet service is slow and often unreliable. Please do not wear any expensive jewelry. Havana is a major city so prepare accordingly. The Cuban people are warm and friendly and many speak English. 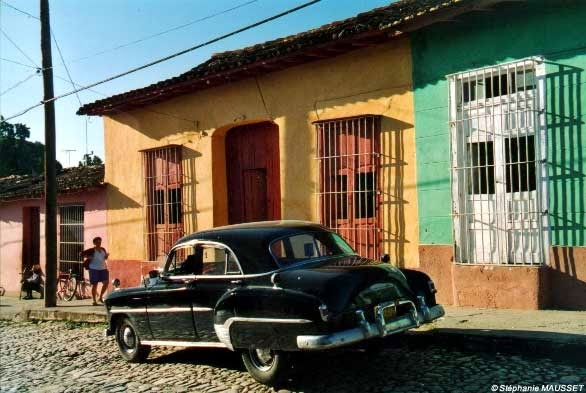 Electricity: The standard electric current in Cuba is 220 volt, 50 cycles. North American appliances such as electric razors and hair dryers will burn out if a current converter is not used. An electrical current converter and a European-style "two prong" plug adapter should be purchased prior to departure. Most power supplies for electronic devices like mobile phones, iPads and laptop computers can be used without a power converter, but a plug adapter is required to fit the outlet. To determine whether your device can be used safely on 220 power systems, read this information. Breakfast: Breakfast is served at the hotel restaurant, between 6:30 and 10:00 am. Lunches and dinners that are included in the tour package are indicated on the itinerary. Water: It is strongly recommended that you drink only bottled water while traveling in Cuba. Bottled drinks are safe, as well. The water used in the ice at the hotel and the restaurants on this program is also safe to drink. We will supply you daily with bottled water on the bus. Gifts for children: Consider bringing small gifts like pencils, pens, notebooks or any supplies a grade school child could use for the children that we visit in their schools. Also appreciated are small soaps and shampoos often found at hotels. Visiting a "dollar" store and stocking up on small, light and inexpensive gifts would be great, too. Weather: Havana has close to the same climate as Miami. The wet season runs from May to October, and the dry season from November through April. The average high temperature in October is 76-86 degrees Fahrenheit. Sunscreen, insect repellent and sunglasses are highly recommended. Check the weather in Cuba just before the trip, but know that conditions change. You probably can't be prepared for all conditions, but you can be prepared for most. Rain poncho suggested. What to Wear: Cuba is a casual destination. Remember to bring comfortable, well-broken-in walking shoes. It is suggested that you not bring or pack any expensive or sentimental jewelry. Understand that it may be difficult to purchase items that you forget in Cuba, so pack light but carefully. 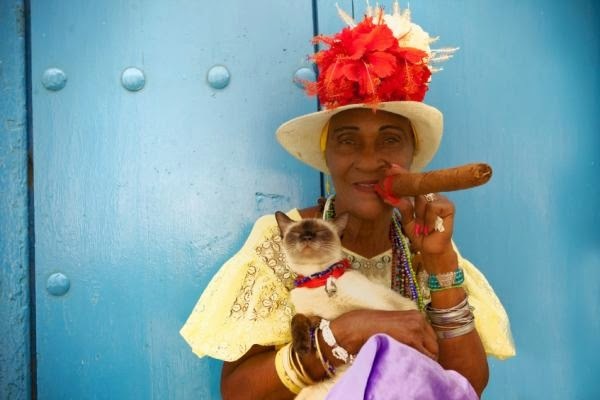 Language: Spanish is the official language in Cuba, although you will encounter some people who speak English. Learning and using even a few basic words will be much appreciated by the locals. Time: Cuba is on the same time as the East Coast of the United States. Tipping: Most gratuities are included in your package price. However you should plan to leave 1-2 CUC's after each lunch and each dinner for gratuity. Your group leader may collect additional gratuities for your guide and driver. Shopping: U.S. regulations now allow the importation of “Cuban products” such as rum, cigars or other consumer products in quantities for personal consumption. Carlson Maritime Travel is OFAC COMPLIANT Travel Service Provider as authorized by OFAC. License CU-2014-307835-1. This group will be traveling under general license and will be provided with the proper ticketing, visas, and required documentation to participate in legal travel to Cuba. *There are a limited number of spaces on this special tour and they will sell out quickly. A deposit of $500.00 per person is due by April 24, 2019 to reserve your spot. After this date all interested parties will be placed on a wait list. YOUR PASSPORT MUST HAVE AT LEAST 6 MONTHS' EXPIRATION DATE TO TRAVEL TO CUBA! For required forms, please see "INFORMATION" below this column and click on "reservation form" and "travel affidavit"
**The Southwest flights are not for sale yet for November. We will block the non-stop from Tampa as soon as it is available. A minimum of 25 participants are required to conduct this tour at the price quoted. A deposit of $500.00 per person is required to hold your space. Book now, space will fill up quickly! ***CANCELLATION INSURANCE IS STRONGLY RECOMMENDED. We are offering a group policy at the rate of $129.00 per person to cover cancellation due to medical reasons, additional medical, emergency medical evacuation, delay, and baggage loss. This group policy covers pre-existing conditions. Can purchase with final payment.